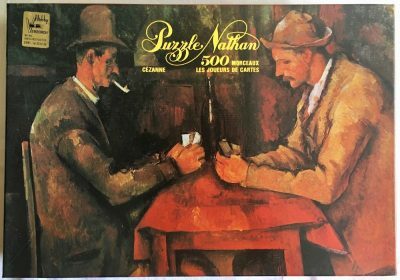 Nathan manufactured this extraordinary puzzle in 1983. The title is The Four Times of Day, by Alphonse Mucha. It is now very difficult to find. 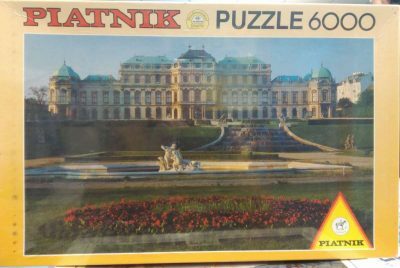 This puzzle is NEW, with its original FACTORY SEALED. The seal has a tear in one of the sides, as you can see in the pictures. It measures 106.5 x 155 cm. The reference number is 553750.